Thanks to Amy, I've been visiting the library a bit more frequently these days. Previously, I've chosen to avoid the library because I usually forget to return the books and that can become a little ridiculous. However, I'm doing a little bit better in that regard and we've been finding some new treasures. 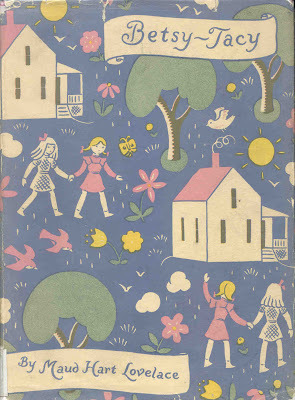 One of the treasures I've "discovered" is Lois Lenski. This amazing woman illustrated around 50 books for other authors and wrote and illustrated about 100 of her own! To say that she was prolific is something of an understatement! Very intriguing woman. Born in 1893 to a Lutheran pastor and his wife, she spent her growing up years in Ohio and Illinois. Her mother was a homemaker (cheers!) and nurtered all of her children well, and between the two of them, Lois' parents created a very stable home environment. One of her father's hobbies was drawing and he encouraged his children to join him in this particular pursuit. By all accounts, it would seem that her parent's love and encouragement to pursue both talent and education served their children well. I like that. Although her parents assumed that she would become a teacher upon completing her education at Ohio State, Lois instead pursued her artistic talents, moving to New York to study at the Art Students League. (From what information I've seen, this didn't create any hard feelings between her and her parents. It was just a deviation from their plans for her. But don't children do that? They change on you when you least expect it!) As it turns out, studying at the Art Students League propelled Lois in new directions and, in one of her classes, she ended up meeting her future husand, Arthur Covey. By marrying Arthuer, Lois became a step-mother to his two children and they went on to have another son together, named Stephen. 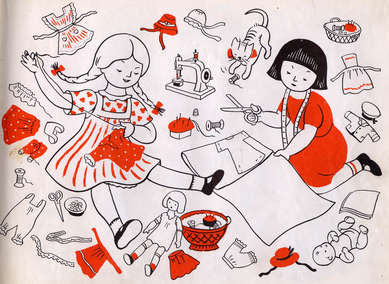 Lois spent much of her early career illustrating the adventures of Betsy-Tacy (much beloved by Sarah at Library Hospital). Eventually, a publisher suggested that she start writing and illustrating her own books and the rest, as they say, is history! The books that I found at the library were part of a series, the "Mr. Smal" series, that were inspired by the toddler years of her son, Stephen. I found the following titles: The Little Airplane and The Little Sailboat which I thought my own son would very much enjoy. The books were rather technical for my two year old. I'm rather impressed with them, actually, for having been geared towards a toddler back in the late 1930's! If you open up the front cover of a 1966 edition of the airplane book it says, "Simply and accurately presented story of Mr. Small and his airplane. Gives information about how an airplane flies and what its basic parts are." My son isn't much into mechanics yet in book form, so they were a bit above his head but utterly fascinating to me! 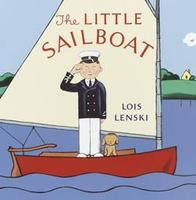 The sailboat book is just like the airplane book in wanting to teach children sailing lingo. It's filled with words (that confuse me!) such as: mooring, tiller, and jibe. It sounds like a foreign language when you are reading it aloud (that is, if you aren't used to sailing!) which put it a bit beyond us but, again, I still appreciated how much attention to detail Mrs. Lenski gave to her "Small" books. I just feel like there is so much lost in the glamor of the original publications when you try to "spice them up" for a more modern audience. 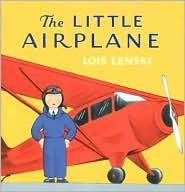 I have really enjoyed learning more about Lois Lenski. If you would like to learn more information about her, visit the Milner Library website. In the meantime, perhaps you might identify a few more of her pieces of work? Thanks so much for this post, Carrie! I love Lois's work and it was fun learning more about her. I enjoyed your informative post. Thanks for the reminder of the "Small" books. We read through all of these when my youngest son was around 3-4 years old. I was thinking that name sure seemed familiar, and now I know why. We've read many of those books! Thanks for sharing this, Carrie. Very interesting! I love Lois Lenski! I never knew anything about her, though. How wonderful to learn a bit about her. I knew she'd written a lot--I love Indian Captive--but I didn't know she'd written books geared toward toddlers. I agree about the illustrations. I love color, but, please, leave art as it originally was drawn, don't modernize it! 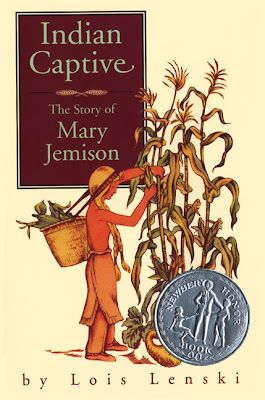 The Indian Captive was one of my favorite books in middle school. I didn't make the connection between the Mr. Small books and Indian Captive until I was putting our books away in our new home. 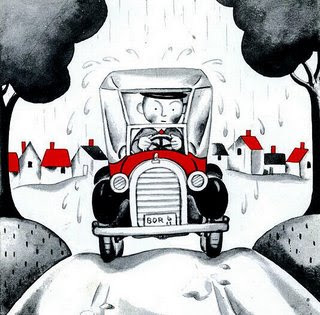 I do enjoy the Mr. Small books and her illustrations are so simple and enjoyable. Indian Captive changed my world as a little girl. I was always being taken captive by Indians and escaping them. There are many other books in this age group but the titles I remembered were Indian Captive and Strawberry Girl. I've only recently discovered her books for toddlers and preschoolers. 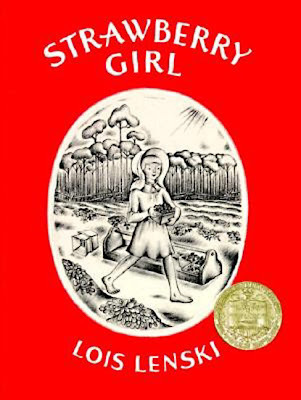 When I think of Lois Lenski, I always think of the Betsy-Tacy books. Her illustrations were part of the fun of reading the earlier books in the series for me. One of my favourite authors - we enjoyed reading the Mr Small books when the children were small and Strawberry Girl, Judy's Journey and Indian Captive are long-time favourites. I never did any research on her though. Thanks for the informative post! i love betsy tacy and betsy tacy tib! grew up on those books...they were and are favorites of mine. my mom has a few but i am on the hunt for more! 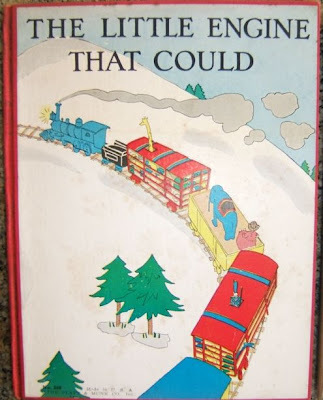 Loved Lois Lenski books when I was a kid (in the 1960s)! I read every single volume that our library contained (along with every single volume of the Betsy-Tacy series that our library owned). I'm glad Lenski's books continue in popularity. Sadly, I looked for them when my own daughter was growing up in the 1980s, but couldn't find them anywhere in our town at that time. I, too, grew up with Lois Lenski books. I loved her illustrations so much, in fact, that whenever I tried to imagine people I had yet to meet they would always emerge in my mind as a Lois Lenski drawing. I love reading about her still.